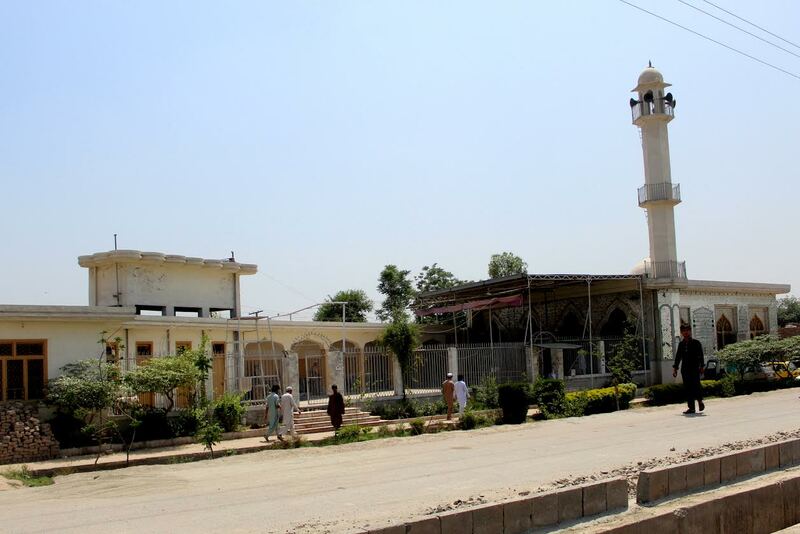 PESHAWAR -- Faced by grim statistics on violence against women, authorities and women's-rights advocates in Khyber Pakhtunkhwa (KP) are seeking to make the conservative province a more hospitable environment for half the population. Statistics compiled by the Khyber Medical College Peshawar on the matter are old but worrisome: in KP from July 2009 to July 2011, authorities recorded 305 women's deaths from domestic violence. Of those deaths, 115 occurred in 2009-2010 and 190 in 2010-2011. The majority (182) of the 305 deaths occurred in rural areas. Observers fear that many cases of violence go unreported in a conservative society where women who complain risk social stigma or worse. Fixing the problem requires teamwork between the government and NGOs, rather than individual actors working in isolation, say analysts. With support from Australia and the Irish charity Trócaire, Blue Veins, a Peshawar-based women's rights NGO, is implementing a policy advocacy and research project to strengthen pro-women legislation and responses to gender-based violence (GBV). During an August 2 workshop in Peshawar, participants representing NGOs and the KP government established a provincial network called "Partners for Prevention of and Response to GBV". The attendees resolved to generate synergy against GBV. Existing alliances, KP government agencies and other stakeholders came on board. 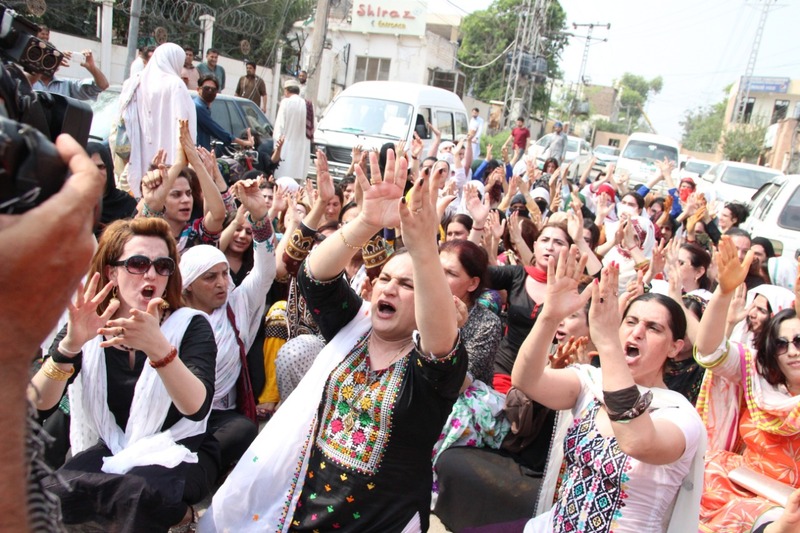 "All existing actors have converged on a single platform ... to identify loopholes in the GBV response mechanism and devise solution-based strategies for improving services to survivors," Blue Veins programme co-ordinator Qamar Naseem told Pakistan Forward. The network at present has 25 members, including representatives of the KP Health Department, KP Police, University of Peshawar Gender Studies Department, KP Commission on the Status of Women and other bodies with legal or political involvement in KP women's situation. The network has provided a platform for NGOs already combating GBV in KP. They include the Pakhtunkhwa Civil Society Network (PCSN), the Ending Violence Against Women and Girls Alliance for KP and the Federally Administered Tribal Areas (FATA) and other NGOs. "The network will take strategic, systematic and professional approaches to reducing GBV across the province," Blue Veins' project manager Tahira Kaleem told Pakistan Forward. "It will track flaws in response services." 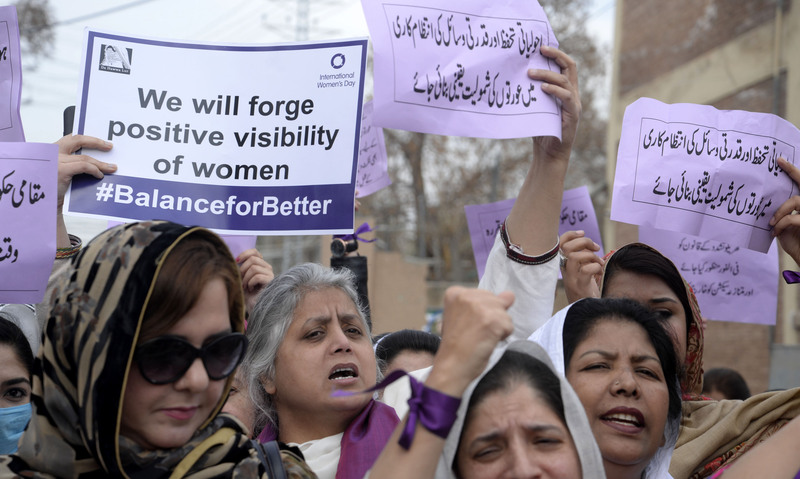 "Given the potential impact of GBV on women and girls, several [KP] departments work on their own, but they ... rarely have a chance to address the issue collectively," Sana Gulzar, a member of the Peshawar Bar Association, told Pakistan Forward. KP lawmakers are trying to help by enshrining protection of women into law. They plan soon to discuss a bill on domestic violence, which the women's caucus in the KP Assembly prepared after consulting with various experts. In March, the KP Assembly passed the Dowry, Bridal Gift and Marriage Functions Restriction Act 2017, which bars a bride's family from making dowry payments to her groom's family. KP Police officers are praising the effort to forge a collective approach against GBV, saying it will reduce reluctance to report GBV cases and raise awareness of rights among KP women. The platform helps participants find connections in fighting GBV, said Rizwana Hameed Khan, who is making history of her own as the first woman station house officer to command an all-male police station in Peshawar. "Blue Veins has succeeded in reaching the right people for this cause," she told Pakistan Forward. One way to combat misperceptions of women's role in society is to cite Islamic female role models like Hazrat Khadhija and Hazrat Fathima, who were noted long ago for piety, courage, intelligence and leadership, suggested Taimur Kamal, co-ordinator of the PCSN. Another way to confront abusive male behaviour toward women is to emphasise the compassion and generosity of Islam, he told Pakistan Forward. KP has suffered decades of terrorism driven by rigid beliefs, said Maulana Siraj Ali Khan, a cleric at the Sufaid Dheri mosque in Peshawar. "The society is open for change," he told Pakistan Forward. "Initiatives like [the platform] are not only welcome but offer wide prospects for development to women, who were totally ignored earlier." The network plans to meet twice a month to discuss its progress, initially for a period of three years. Participants hope that a KP government agency might take over the network after the programme ends, making the effort sustainable. Participants in the Aurat March seek equal rights and an end to violence against women.